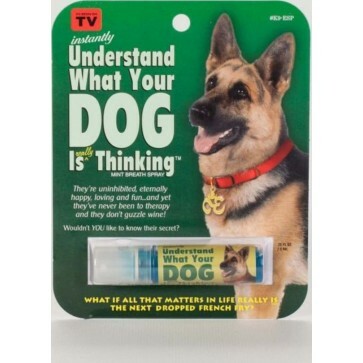 Instantly Understand What Your Dog Is Really Thinking Breath Spray. Do you prefer dogs over people? Learn what dogs are thinking with this Instantly Understand What Your Dog Is Really Thinking Breath Spray.